Mr Boo celebrates his birthday in September following that I have three months to think about what to get him for Christmas. Usually just as I have an idea of which music CD he wants or Blu-Ray he comes home from work with it and I find myself having to re-think his Christmas presents all over again. 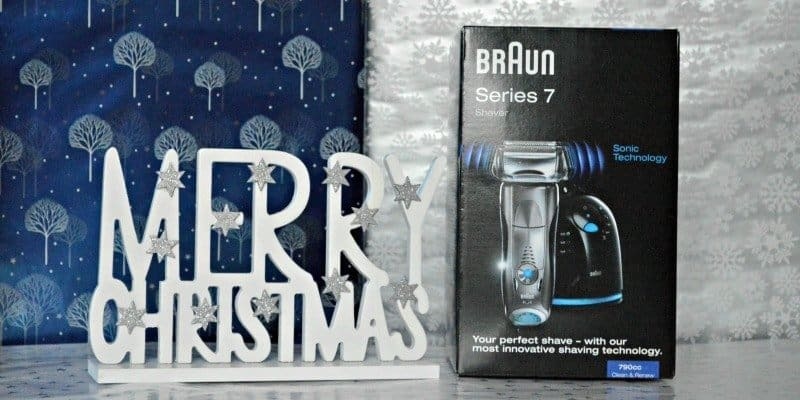 The most advanced shaver ever released by Braun – with more computing technology than NASA’s Apollo 11. It’s ideal for the man who demands perfection. The Braun Series 7 captures more hair with every stroke providing that just-shaved feeling of smooth skin for longer. There is something about Marvel and DC Comics that make men relive their youth, transported back to playing superman with a tea towel tied around their shoulders. 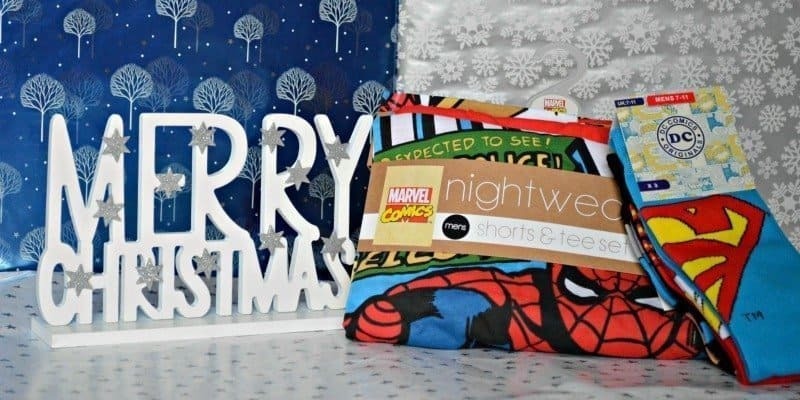 With the release of many comic related films over the past few years Marvel and DC Comics have really made a comeback, so why not treat Dad to a pair of Spiderman PJ’s or some super hero socks! Mr Boo loves his cookies, especially dipped in his morning coffee… however Tigger also loves Daddy’s cookies and thinks that as they are in the biscuit box they are free for him to munch on whenever he is offered a biscuit – Daddy disagrees so this Christmas I have found the perfect thing to help save Mr Boo’s cookies disappearing. Getting Personal have a range of different personalised enamel tins but this treat tin was my favourite. Available in classic cream however the text colour and wording can be personalised. 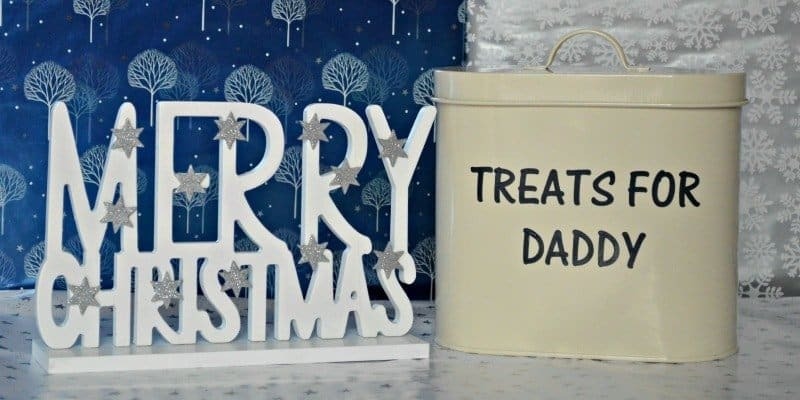 So whether you what ‘Treats for Daddy’ or ‘Grandpa’s nibbles’ I’m sure that these will be very welcomed come Christmas morning – especially if you pop a few treats inside. 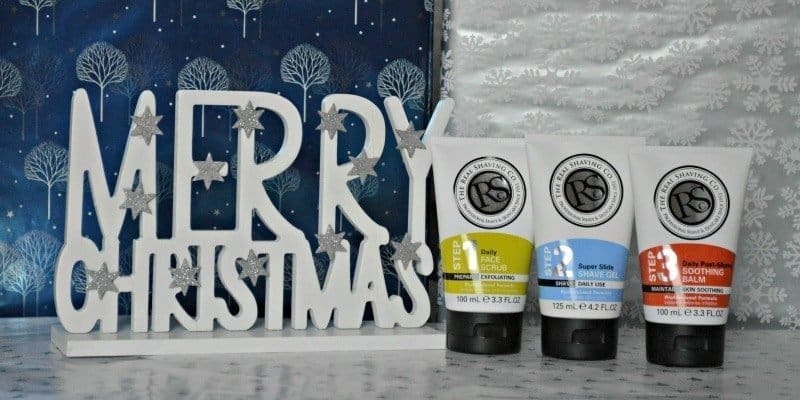 Treat the man in your life to perfect smooth, conditioned skin this Christmas. Pioneers of the three step shaving system, the experts at The Real Shaving Company really know what men want… Easy shaving without irritation. The shaving trio is made up of a daily face shrub, super slide shave gel and smoothing balm, designed to buff away dead skin cells and impurities, a rich creamy lather designed to lift bristles from the skin for the ultimate friction free shave finishing off with the smoothing balm to hydrate and moisturise the skin. Raisthorpe Manor combines only the finest, locally sourced ingredients with traditional family recipes to create our award winning beverages. 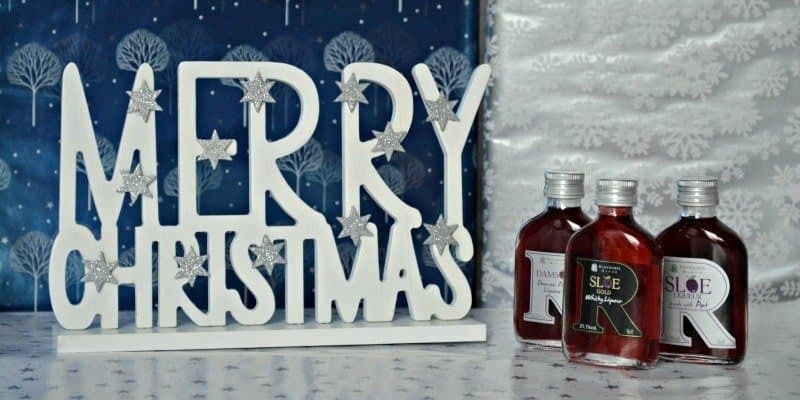 Miniature bottles of Dad’s or Grandpa’s favourite tipple can be added to their stockings, or added to part of a hamper. Do you find shopping for men difficult? lovely ideas, going to be some very happy daddies out there. Lots of good ideas. I like the Marvel Comics stuff. Lovely ideas – love the treats for daddy! Some good idea. I always find men so hard to buy for. The shaver is a fab idea! Something I wouldn’t have thought of.. and also the ‘Treats For Daddy’ tin looks fab! Love the Marvel Comic Stuff – my husband would love it! Love the Real Shaving Company, dad loves their products. Some great idea’s here. I love your imagery too! Thanks for the ideas, my husband is so difficult to buy for, I can never get him surprises only things he tells me he wants! They all look good, but especially the Baylis & Harding Men’s Sport Citrus Lime & Mint Weekend Bag. i’ve come to the conclusion that every man in the world is impossible to buy for! I love the personalised treat box. I like personalised things as it does require some form of thought and effort. Shopping for men is so difficult. Some great ideas for a couple of stocking fillers here. Men are most definitely the most difficult to buy for especially the older they get! Thank you for sharing a few great ideas. Some fab bits there, great ideas. It can be. Thanks for the ideas, suggestions. Those Marvel PJ’s would go down very well in our house I think! I always find men easy but boring to buy for, but this article has given me a few new ideas! I love the marvel clothing – very cool! Not really – a gadget normally does it! oooh great ideas love them all! Dads (including me) are the worst to buy for. I always appreciate video games and books though! Some good ideas. Find hubby so hard to buy for. I love the treat tin – great suggestions! Awesome to have some ideas! Great article for great ideas, I will definitely buy something from here. The socks are so cool! Men are impossible! Good ideas here though! my boyfriend loves his superheroes – hed love the marvel stuff! Great guide! Our son is Marvel & DC superhero mad at the moment so he would love to get his daddy something from that range too! I think the pyjamas are a good idea. Some great ideas on here. My dad loves lime so the weekend bag is a great gift idea for him. The Marvel shorts & tees set looks like great gift idea, thanks. Men are always so hard to buy for.